Click on the appropriate link below to download a free trial license of Quick Terrain Modeler. Obtaining a trial license is a multi-step process. Click here for a PDF checklist. Click here to learn more about the steps, or here to learn about license types. * Note: As of v8.0.7.0, 32-bit versions of QT Modeler are no longer offered. What’s new: Download PDF here. The Quick Terrain Reader is the free companion software to Quick Terrain Modeler. The Quick Terrain Reader is capable of opening pre-built digital elevation models (DEMs) and point clouds and allows users to freely move through the terrain in a fast and intuitive way. The current version of Quick Terrain Reader is 8.0.7. Should you have any problems loading your DEMs and/or point clouds, please first download the appropriate current version below. * As of v8.0.7, 32-bit versions are no longer offered. Quick start guide: Download PDF here. To make the most of your trial period, we strongly suggest an interactive, live, online demonstration of the Quick Terrain Modeler. While the Quick Terrain Modeler is easy to use, a few basic tips from us could help you get started very quickly. In addition, if you would like us to work with your own data during the demonstration, we can accommodate you by providing our FTP site information. Once you upload your data to our site, we will be able to work with it during our demonstration. A live demonstration consists of Applied Imagery controlling the Quick Terrain Modeler from our office, the audience viewing the demonstration on their computer (or multiple computers), and a conversation via telephone. 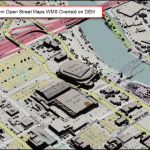 We can adapt to the specific features you would like to see, whether it is building models, analysis tools, overlaying imagery, or any other topic of interest. The online demonstration is free and usually takes 60 to 90 minutes. To schedule a demonstration, please send an e-mail to info@appliedimagery.com.